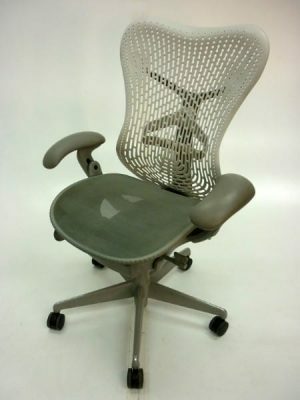 These iconic Herman Miller Mirra chairs are a design classic and offer exceptional comfort and support. They are intricately designed to adapt to the body and provide maximum support with the slightest of movements. Combining form and function, their clean lines and striking design will make an impact to any space. If you would like more information about these designer chairs, you can get in touch with one of our sales team by calling 07944 508282. Or, you can also scroll down to the Telephone Icon on your mobile device, which will put you straight through to our sales department. Alternatively, you can also enter your details in our Request a Quote Online Form and someone will be in touch very soon. Otherwise, we also have an extensive range of other second hand operator hairs currently available. Just click on the link provided to view!